Traditional cotton or linen clothes are so last century. Some of the duds you're rocking right now might actually be made out of recycled bottles. Yes, some of the plastic bottles you drink out of and recycle are reborn as polyester yarn. The fiber is called Repreve, and it's made by textile manufacturer Unifi. 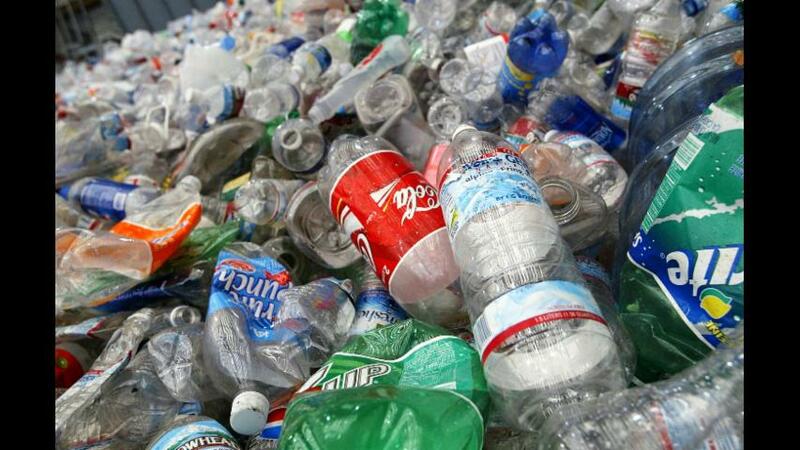 After recycling your plastic bottles, they're sorted and chopped into minuscule flakes. Unifi turns those flakes into small pellets, which are then melted down and spun into a yarn, ultimately becoming a sustainable fabric. CNN reports some Repreve fiber is made of 100 percent recycled bottles, while others are mixtures of fiber waste, used fabric and plastic bottles. You only need five plastic bottles to make a T-shirt out of Repreve fabric, while just seven are required for a pair of pants. This year, around 400,000 college graduates received their diplomas in Oak Hall graduation gowns, each made up of 27 bottles. But you'll need 42 bottles to make the car seats for the Ford Fusion. The automaker had Repreve fabric in five models as of March 2015. For the past 25 years, Americans have recycled more plastic bottles each year, according to the American Chemistry Council. But consumers usually just toss the majority of bottles produced. ​This video includes clips from Repreve, WSLS and Ford Motor Co.
All index data provided on a 15 minute delay.